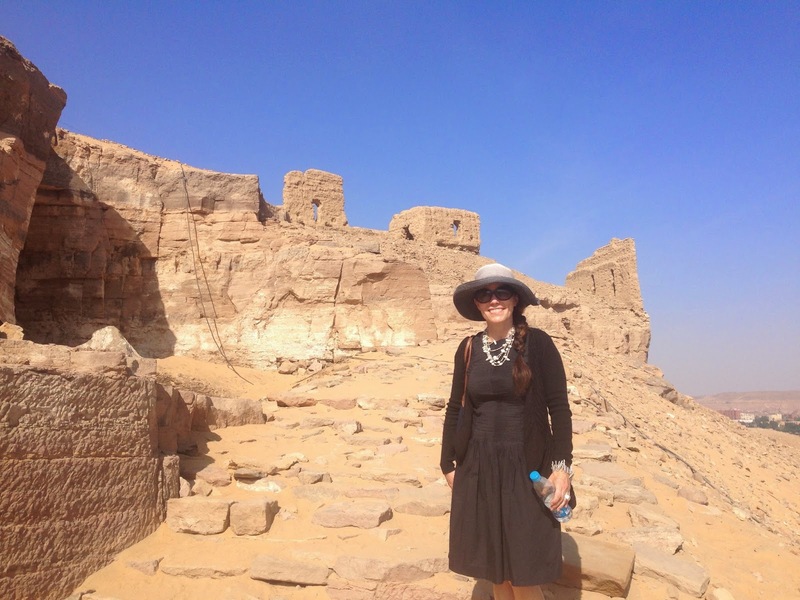 There are so many magnificent tombs in Egypt and we visited lots of them, from the Valley of the Kings to the humble tombs of the workers in an ancient village nearby. The tombs (and various necropolis such as mortuary temples) are a highlight of any visit to Egypt. 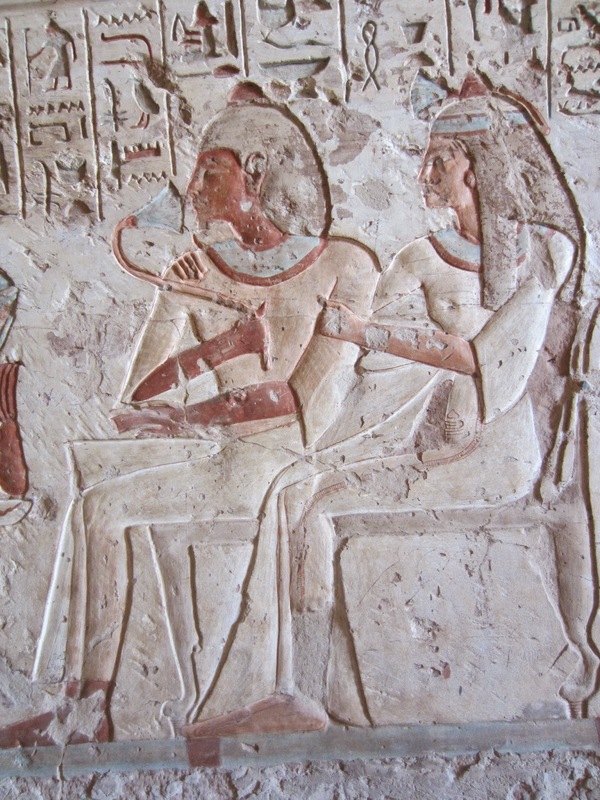 The tombs almost always include images of of the deceased, such as the portrait above of a man with his wife. These images are very individual and looking at the faces provide such an immediate and a visceral connection to past lives. 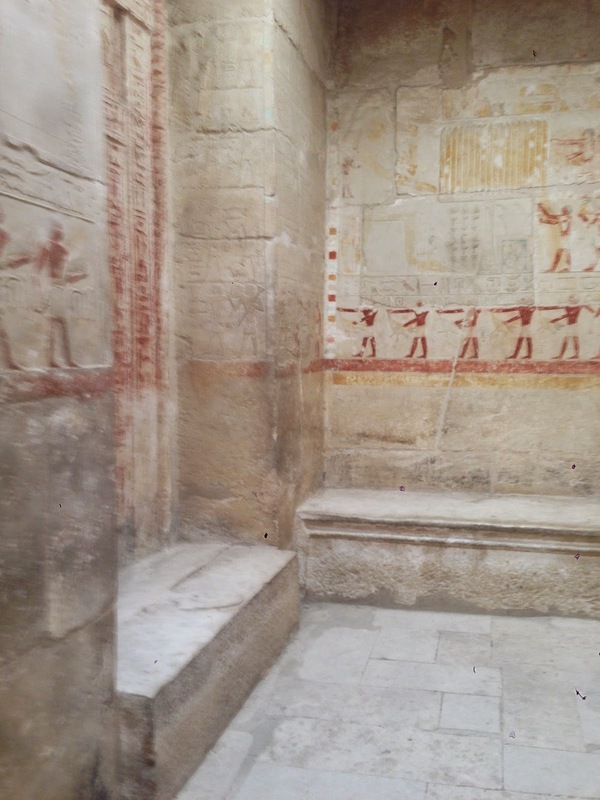 Unfortunately, photography is forbidden at many of the tombs and even when allowed it's hard to get good photos because of the dim light. 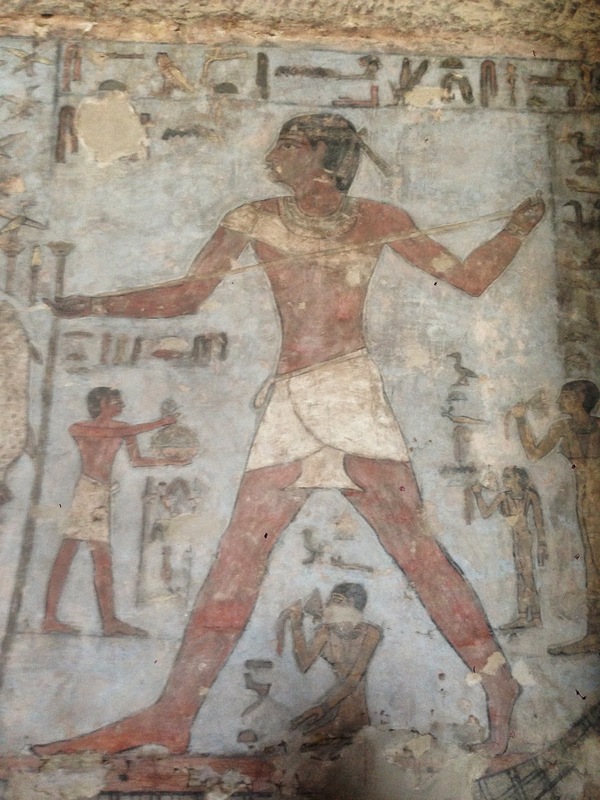 Consequently, our photos don't include the most dramatic tombs such as those in the Valley of the Kings. In the Valley of the Kings I think they ban photography, not just because they can't rely on tourists to switch off their flashes, but because they need to move large numbers of people through the tombs and taking selfies slows everything down! 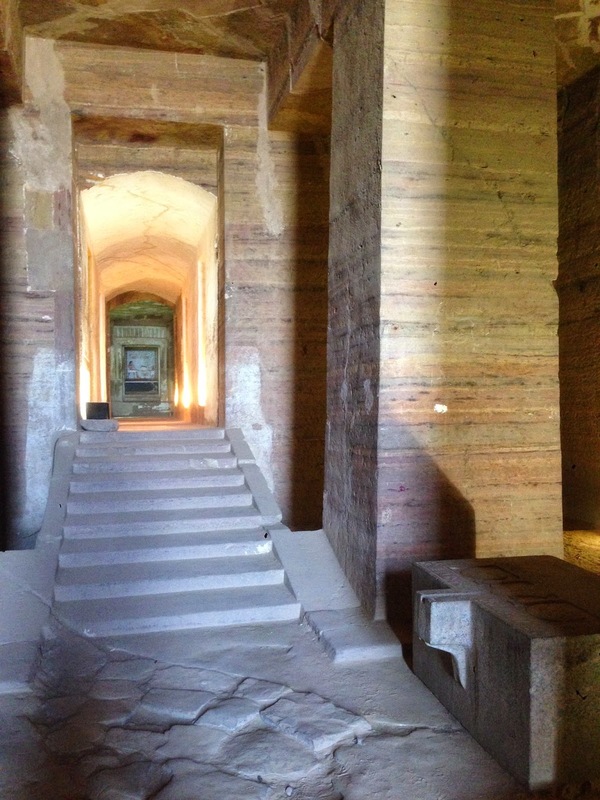 These image are mostly from minor tombs of dignitaries or nobles but they are nonetheless spectacular. In the Valley of the Kings we loved the Tomb of Ay in the western valley and the joint tomb of Ramses the V and VI which is so beautifully decorated it's almost overwhelming. The image of the night sky was unforgettable. 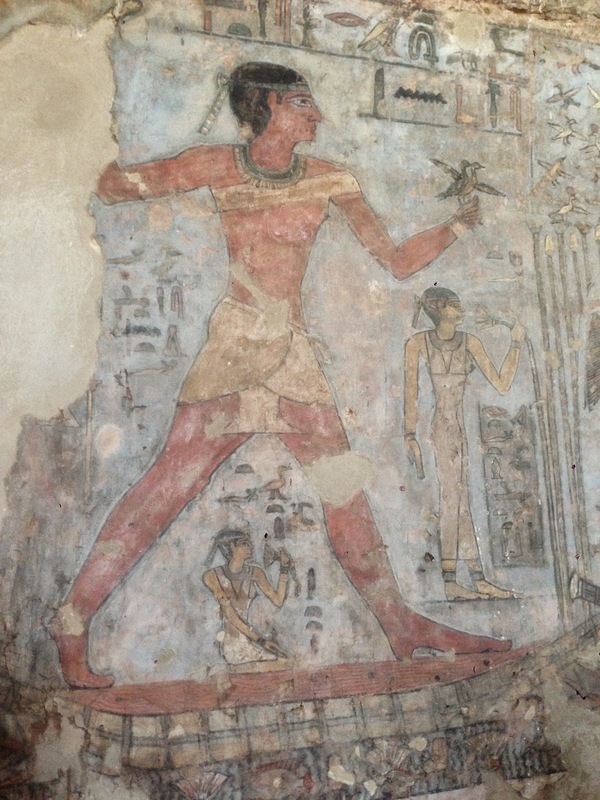 It's hard to describe the sheer size and beauty of the Pharaohs' tombs and each is distinctive in their own way. Today the tombs are devoid of the extensive grave goods (which were either stolen by tomb robbers or moved to museums) so when you enter, often down a long narrow corridor, what you will see are beautifully lit, incised, carved or painted wall decorations.The colors are surprisingly bright and the tombs were often large, with multiple chambers, all highly decorated with the book of the dead and images of various offerings and gods. 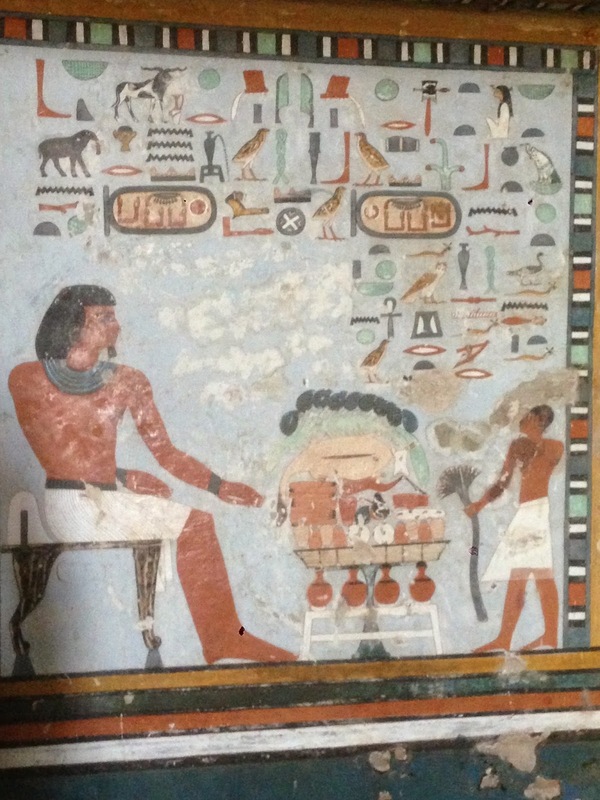 Below the entrance to one of our favorite tombs in the Valley of the Nobles in Aswan. 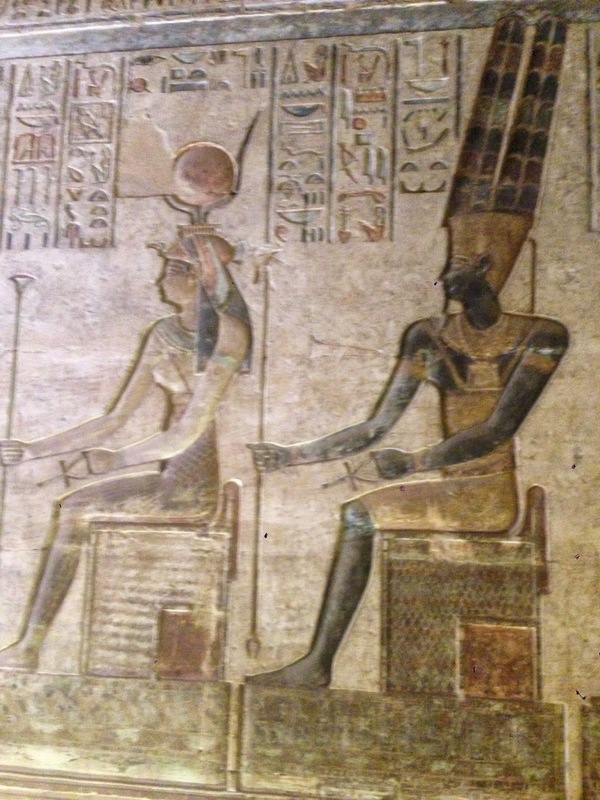 Perhaps more than any other society, the Egyptians (and particularly their Pharaohs) prepared fervently for the afterlife which was a key focus of their religious and ritual expression.When you stand in these place you feel, in observing the decoration, their religious intent. You sense a connection or commonality in our desire to believe there is something more awaiting us after death. 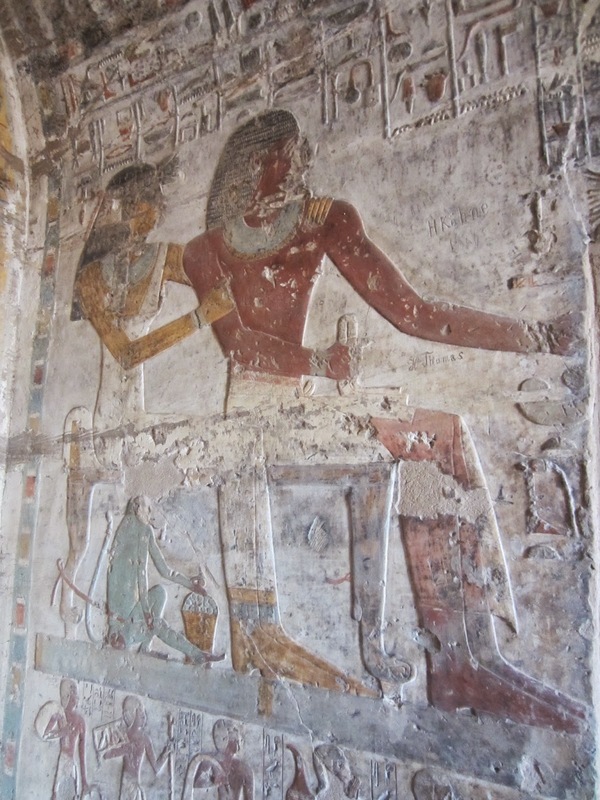 The image above and those below are from Hatshepsut's Mortuary Temple, rather than a tomb but I can't resist including them as they contain much of the same imagery you see in the Valley of the Kings. 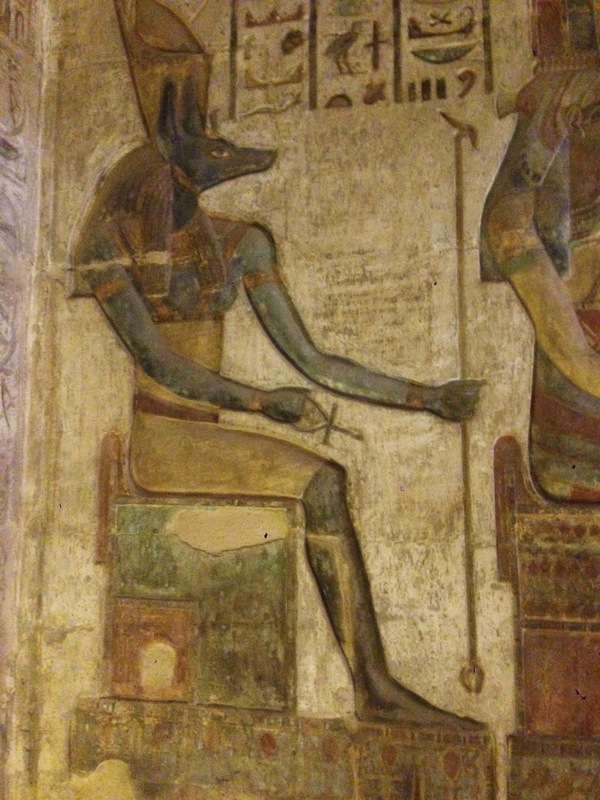 The jackal-headed Anubis (below) is seen frequently in tomb and mortuary temple decorations as he was central to the transition to the afterlife. Known as the guider of souls, he was often portrayed in the role of the embalmer, as we saw in the catacombs of Kom el Shoqafa in Alexandria. 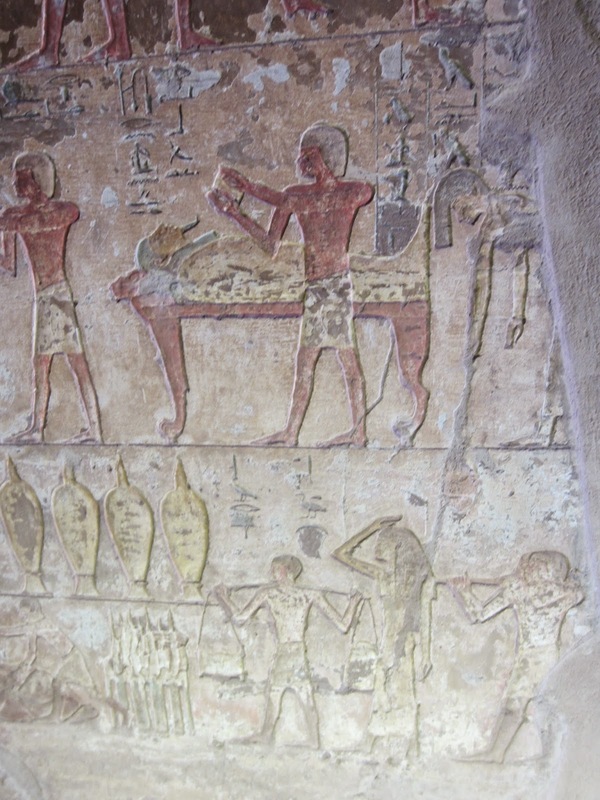 Certain images such as the weighing of the heart and the presentation of offerings are repeated from tomb to tomb. Here you can see the embalming process with the pharaoh lying on the embalming table, similar to the enormous leopard headed and footed table you see in the Egyptian Museum's Tutankhamen exhibit. Many of the tomb are in a dry desert landscape as you can see below. These are the tombs of the workers which are found above the excavated worker's village on Luxor's west bank. 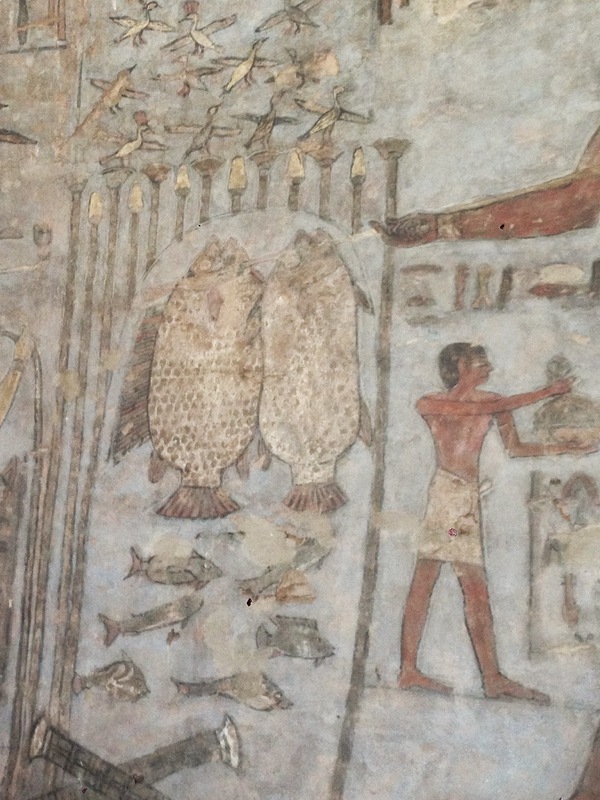 This is one of the few places you can go to see evidence of everyday life in ancient Egypt, as much of what else has survived is the preserve of the elite. 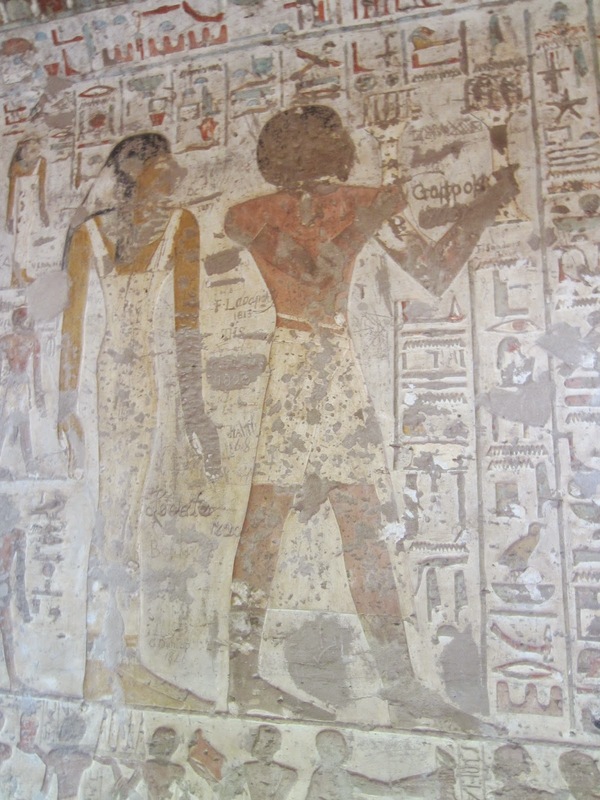 The central difference between the Kings, Nobles and Worker's tombs is the quality and the degree of their decoration. 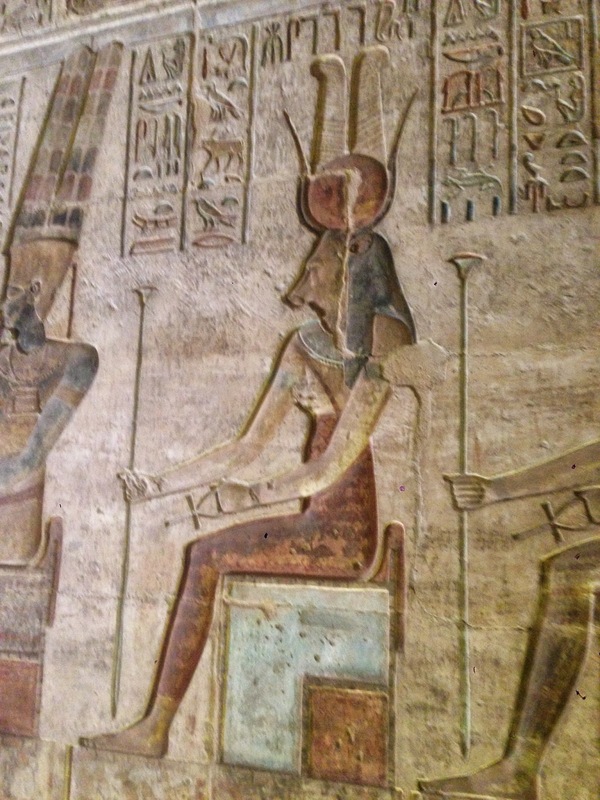 Like the Noblemen and Kings, the Workers' tombs contain images of the deceased in the afterlife. But here the painting is simpler and the images are more recognizable as everyday life. In this respect they are fascinating, you can see a funeral, people working in a fields or people drinking. 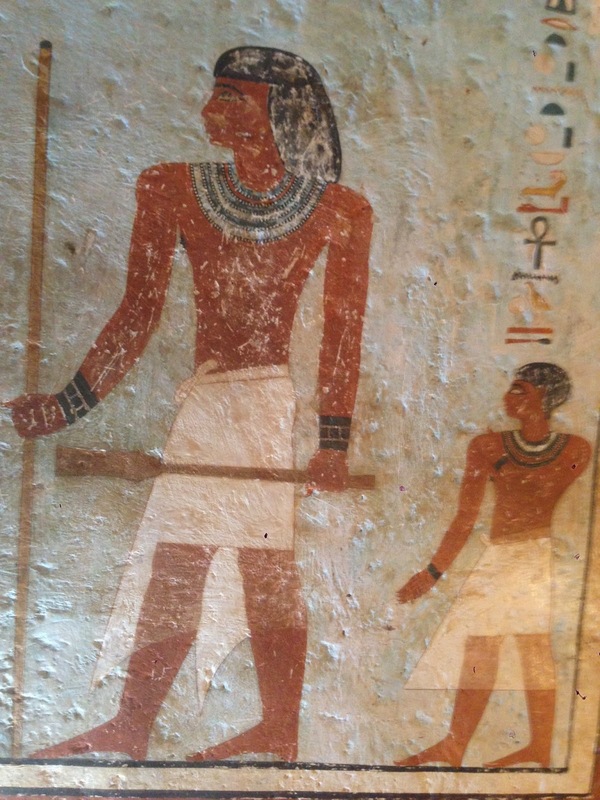 Essentially all these tombs paintings are a texts for Egyptologist. Many of the Nobles' tombs focus on their association with the Pharaoh, as if to claim some of their religious significance or importance. We saw tombs everywhere, at Saqqara outside Cairo, in Luxor at the Theban Necroplis, from the dahabiya as we went down the Nile and on the West Bank in Aswan. 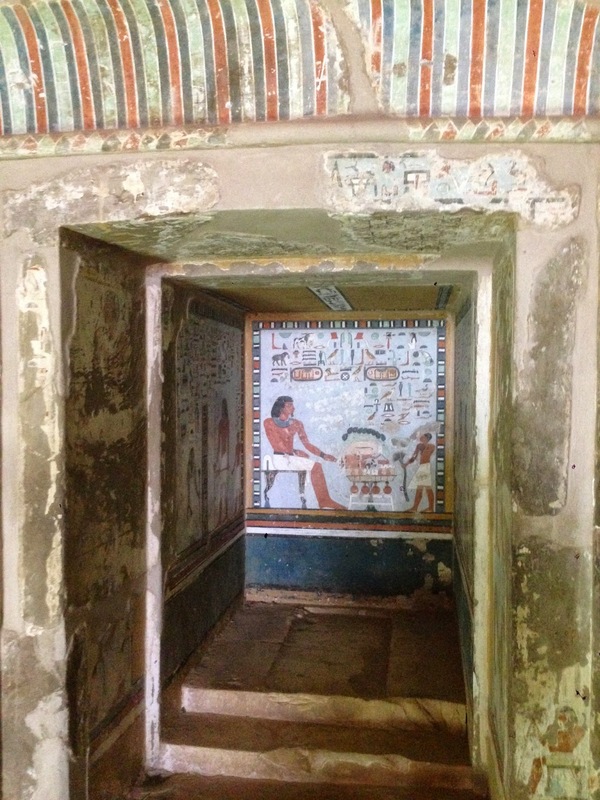 We particularly liked the Old Kingdom tombs we saw in Aswan, this was one of the oldest places we visited and it is from the same period as the Great Pyramid. Perhaps it was because we didn't expect anything much, but the noble's tomb below was particularly memorable. 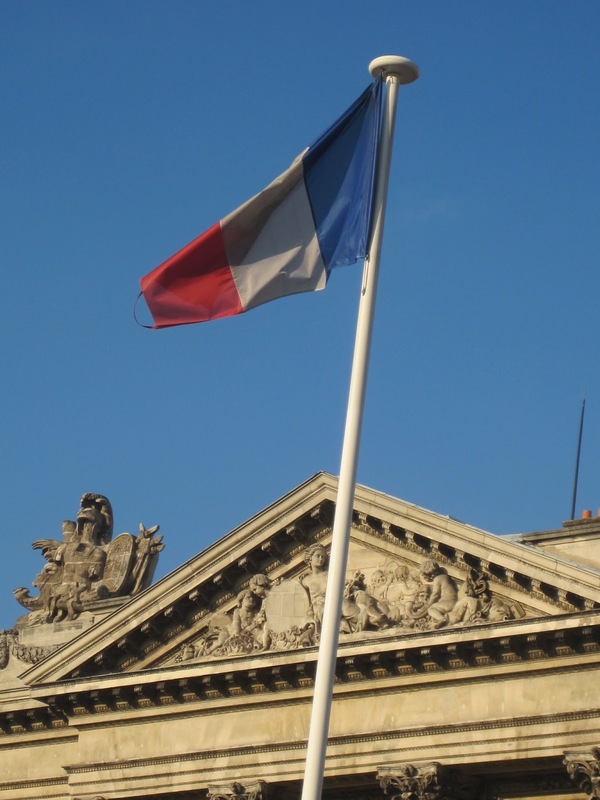 It's hard to imagine that these colors have been preserved for over five thousand years. Clearly this tomb can't complete with the grandeur of those we saw in the Valley of the Kings which are very large and filled with extraordinary decoration, but the atmosphere and surrounding was fantastic and we had the place to ourselves. Even with tourism down, the Valley of the Kings is filled with people - many of whom seem to have no feeling for the place at all. 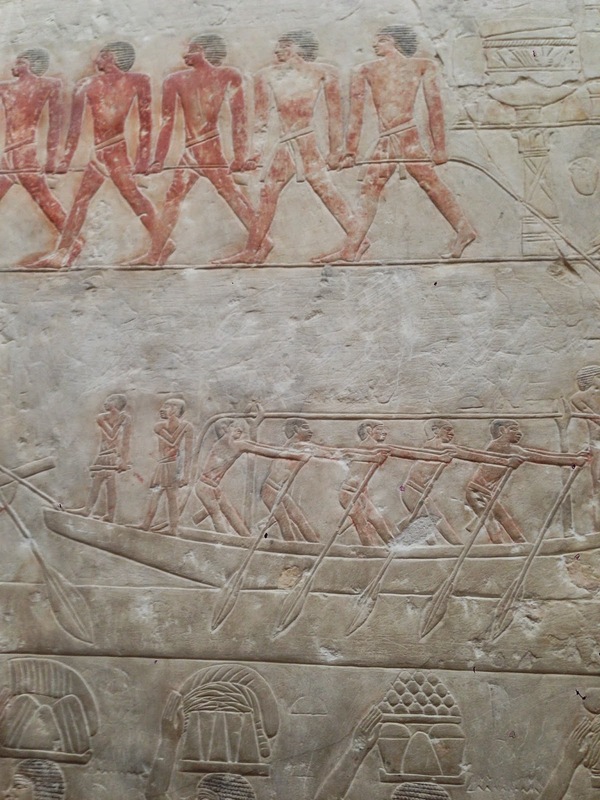 Large groups come in from the Red Sea on days trips to Luxor and they run through the tombs in huge groups; noisy, pushy and sometimes rude. Generally it was just a matter of waiting them out, but I can't imagine how awful the experience is during the height of a successful high season. 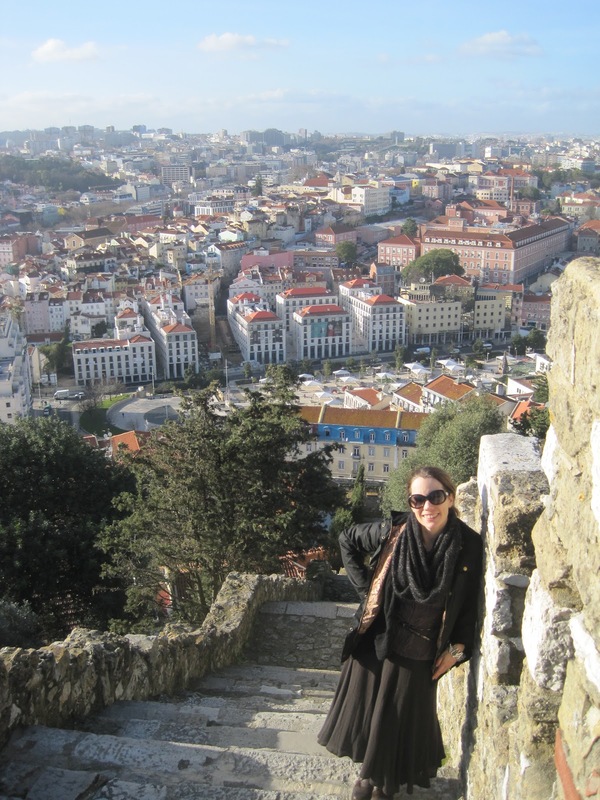 My cousin told me years ago she waited in long lines to get into the tombs which sounds ghastly. In contrast the less well know tombs are a delight. Once you get out of the Valley of the Kings things are entirely different, we saw no one else at the Valley of the Workers and Nobles in Luxor and found the same at the tombs in Aswan, until two Japanese girls showed up just as we were leaving. 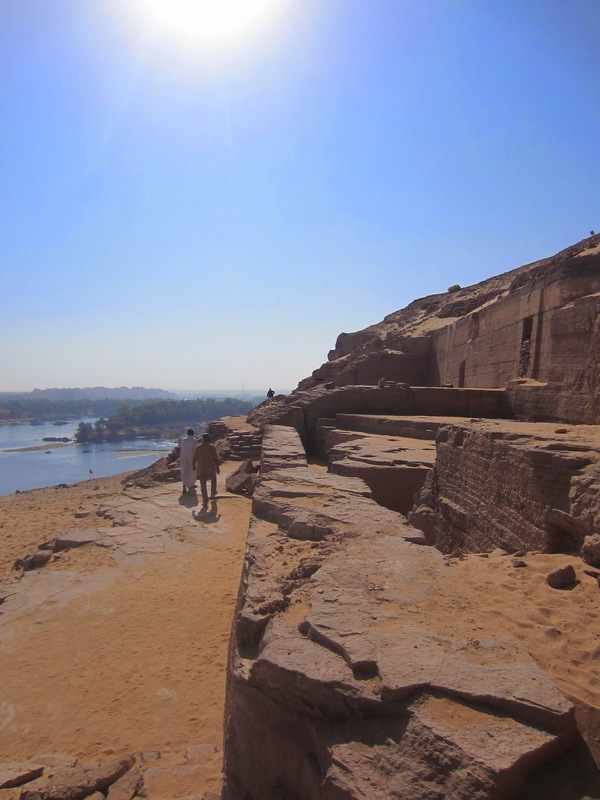 Below you can see the Nobles' tomb entrances in Aswan with the Nile on the left. The tombs in Aswan are located on a hillside and it was quite hot walking up to them, however it was very well worth it. From here the view was spectacular, don't forget to bring water. Below you can see me with my water bottle, I practice what I preach but the truth is I could have done with a much larger one! 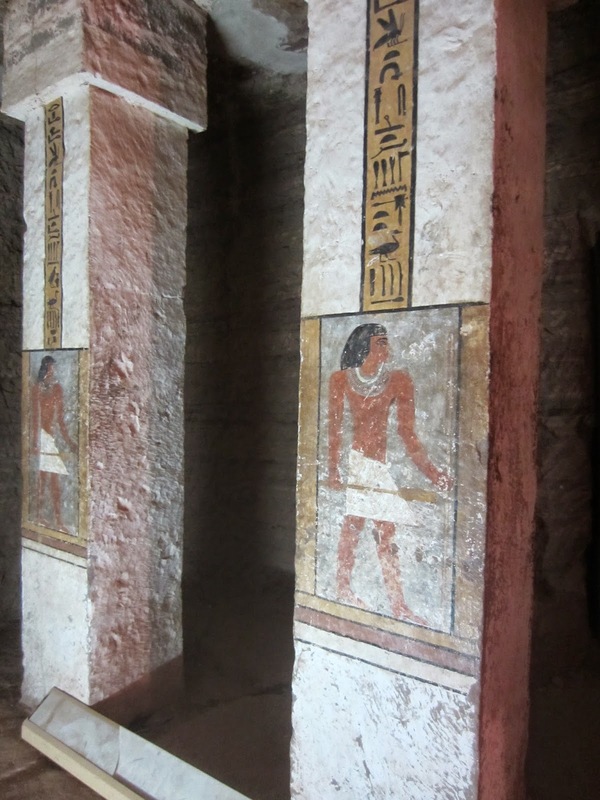 What is wonderful about these tombs is that the paintings, like those in the Valley of the Workers in Luxor, have a lovely folk quality to the painting. I particularly love the fish below. Below you can see a number of musicians including a flautist and harpist. It's these images of everyday life that are so captivating. The animals in the tomb decoration below are extraordinary. 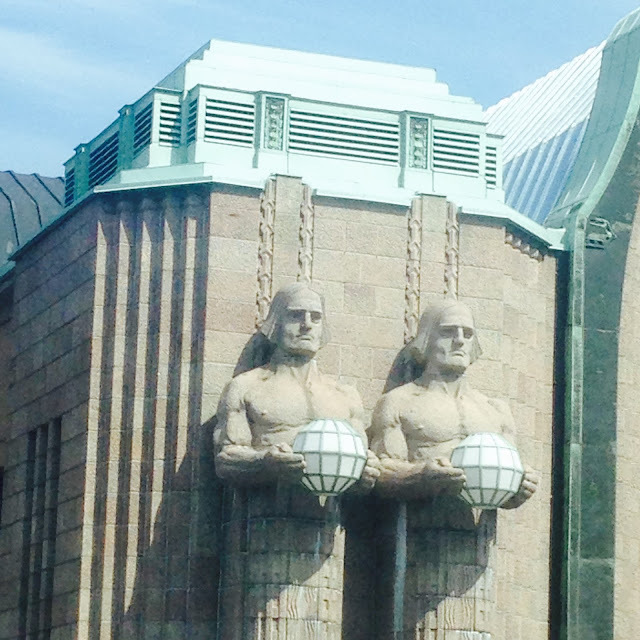 On the right a man holds a basket of ducks over one arm (you can see their heads peaking out) while he holds a duck by the wings in his other hand. Here you can see a baboon sitting beneath the woman's chair. There are also a lot of hierolglyphic texts in tombs as prayers are repeated and the story of the person's life is retold. Bring a flashlight you will be glad to have it. Remember you can't take picture in many of the tombs (including the Valley of the Kings) and where you can you MUST switch off your flash. In the Valley of the Kings we highly recommend driving to the Tomb of Ay in the Western valley and paying extra to see the tomb of Ramses V/VI in the main valley. 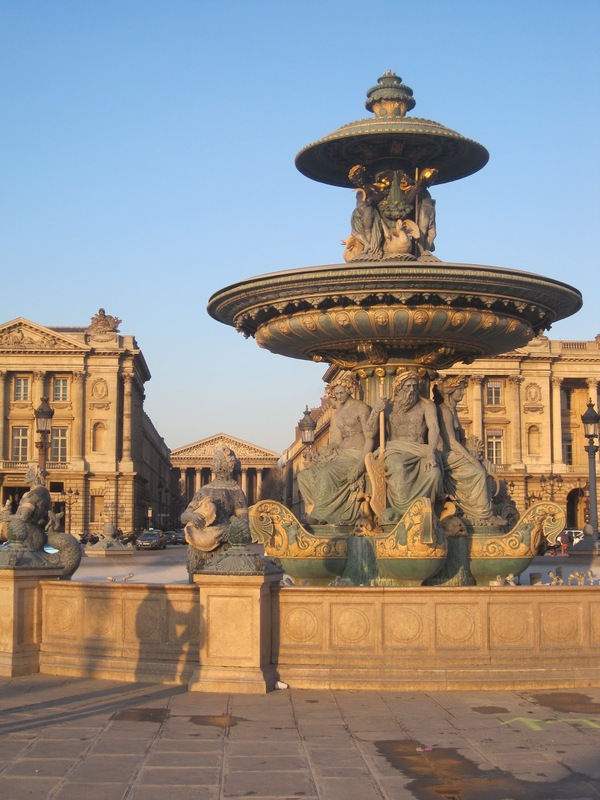 Both are spectacular in their own way and a wonderful addition to whatever else is open. Go beyond the Valley of the Kings to visit the tombs of the workers and nobles in Luxor and Aswan, will be a highlight of your trip.